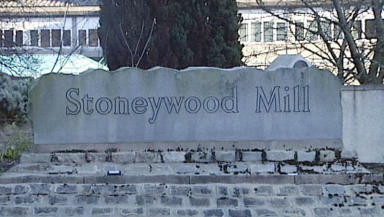 The Stoneywood Mill went into administration last week putting nearly 500 jobs at risk. The owner of a paper mill in Aberdeen that has gone into administration is confident a buyer can be found. The Stoneywood Mill went into administration last week, putting nearly 500 jobs at risk. The mill is owned by Arjowiggins, but a deal to sell the plant alongside other divisions in the company fell through before Christmas. Jonathan Mitchell, chief executive of Arjowiggins Creative Paper, said: "We have Arjowiggins Graphic and Arjowiggins Creative Paper - the buyer was buying the two together. "Now the deal is that we have an opportunity to sell this mill as part of our division, this mill is about 70 per cent of the overall division, therefore this is the driving force. "The underlying business here is a strong business which is why there is no reason that nobody's going to come along and pick us up." The company says an increase in pulp prices globally along with the collapse of the previous deal were the reasons the 249 year-old site was placed into administration. The Scottish Government has said it will support the business and its employees and hasn't ruled out giving financial support to any future buyer. Business minister Jamie Hepburn said: "We're ruling nothing out, I think the fundamental point of course is that we have a profitable site here, this is an attractive prospect for a buyer. "If there is anything that we need to do and can do then we stand willing and ready to do that." Union representative Tommy Campbell, from Unite, said: "Obviously there is a level of anxiety because of the uncertainty but the mood is positive. "They see the work is getting done, the lorries are going out here with product, that's all a good sign. "All we now wait to see who purchases and that hopefully will secure the mill, it's been here for almost 250 years there is no reason why it shouldn't be here for another 250."